ENCINO, CA (March 8, 2019) – The Academy of Country Music® announced more than a dozen of country music’s biggest stars and hottest new talents have been added to the 7th Annual ACM Party for a Cause® performance lineup, including Jimmie Allen, Carlton Anderson, Big Kenny, Jordan Davis, Brantley Gilbert, Ashley Gorley, Adam Hambrick, Caylee Hammack, Tracy Lawrence, Scotty McCreery, Chase McGill, AJ McLean, Jamie O’Neal, Josh Osborne, Carly Pearce and Cassadee Pope. Additionally, it was announced that Shawn Parr and Big Kenny will host the ACM Awards Official After Party presented by Security Benefit. This year’s ACM Party for a Cause will take place as part of “The Week Vegas Goes Country” on Friday, April 5 – Sunday, April 7, 2019 in Las Vegas. Encino, CA (March 7, 2019) – ACM Lifting Lives® announced today Clare Dunn and Jackson Michelson will be part of this year’s nationwide ACM Lifting Lives Club Shows. Stoney’s Rockin’ Country in Las Vegas has agreed to donate a portion of each ticket sold from both shows to ACM Lifting Lives, and the money raised will go to help fund organizations that are improving lives through the power of music. Encino, CA (February 28, 2019) – The Academy of Country Music® announced today the availability of Ultimate ACM Awards® VIP Experience and the Ultimate ACM Awards VIP Travel Package for the 54th ACADEMY OF COUNTRY MUSIC AWARDS™, Country Music’s Party of the Year® live from Las Vegas on Sunday April 7, 2019, available from CID Entertainment. In addition, the Academy is offering fan ticket packages for the ACM Party for a Cause® events leading up to the Awards. ENCINO, CA (February 20, 2019) – The Academy of Country Music announced today the nominees for the 54TH ACADEMY OF COUNTRY MUSIC AWARDS™, Country Music’s Party of the Year®, honoring country music’s superstars and hottest emerging talent. Iconic entertainer and sixteen-time ACM Award® winner Reba McEntire will return to host LIVE from the MGM Grand Garden Arena in Las Vegas on Sunday, April 7, 2019 at 8:00 PM ET/PT on the CBS Television Network. ACM Lifting Lives® and Borderline Bar & Grill are teaming up to present a night of special music performances at ACM Lifting Lives Presents: Borderline Strong, an evening dedicated to Help, Hope and Healing, on Monday, February 11 in Thousand Oaks, California. In acknowledgement of the shooting at the Borderline Bar & Grill which killed 12 people and injured many more in Thousand Oaks, the country music community, families of previous gun violence and the Hollywood entertainment community are uniting to support victims and their families via the Ventura County Community Foundation’s Conejo Valley Victim’s Fund, which all net proceeds from the event will benefit. Encino, CA (January 23, 2019) – ACM Lifting Lives® and Borderline Bar & Grill are teaming up to present a night of special music performances at ACM Lifting Lives Presents: Borderline Strong, an evening dedicated to Help, Hope and Healing, on Monday, February 11 in Thousand Oaks, California. Hosted by Charles Esten, the one-night-only concert will feature Trace Adkins, Jimmie Allen, Charles Esten, Cassadee Pope, Tyler Rich, Runaway June and more to be announced at the Fred Kavli Theatre in the Thousand Oaks Civic Center. In acknowledgement of the shooting at the Borderline Bar & Grill which killed 12 people and injured many more in Thousand Oaks, the country music community, families of previous gun violence and the Hollywood entertainment community are uniting to support victims and their families via the Ventura County Community Foundation’s Conejo Valley Victim’s Fund, which all net proceeds from the event will benefit. ENCINO, CA (January 10, 2019) – ACM Lifting Lives® announced its 2018 fall grant cycle beneficiaries today with grants totaling more than $270,000 for a selection of organizations including Arts Wisconsin, Barefoot Republic, Inc., Camp Sunshine Inc., Carnegie Mellon University, Children’s Hospital Los Angeles, COPD Foundation, Country Music Hall of Fame, Follow Your Heart Arts Program, Foundations of Music, Glenvar High School, High Hopes Development Center, Los Angeles Music and Art School (LAMusArt), Maryville University’s Kids Rock Cancer, Mr. Holland’s Opus Foundation, Music for Seniors, Nashville Songwriters Hall of Fame, Notes for Notes, Oliver Middle School Drama, Porter’s Call, Project C.A.M.P. Inc., Shell Lake Arts Center, Songs for Sound, Anna’s Place NOLA/St. Anna’s Episcopal Church, The Howard Phillips Center for Children & Families, The Onsite Foundation: Possibilities, The Tapping Individual Potential Program of The Community Foundation of Tennessee, United Sound, Inc., Vanderbilt Kennedy Center, Vega Productions Inc., VH1 Save The Music Houston, W.O. Smith/Nashville Community Music School, Wartburg and Westside Children’s Center. Partnerships with artists and generous giving from fans and the Nashville community enable ACM Lifting Lives to provide funding to organizations that share the same mission, and strive to improve lives through the power of music. Encino, CA (December 13, 2018) – The ACM Lifting Lives® Board of Directors and its Search Committee has completed the search in filling the ACM Lifting Lives Executive Director role, announcing today that Lyndsay Cruz will join the organization beginning January 2, 2019. This position is based out of the Academy of Country Music headquarters in Encino, CA and reports to ACM Lifting Lives President and Academy of Country Music CEO, Pete Fisher. Encino, CA (November 21, 2018) – To kick off the giving season, the Academy of Country Music® is revealing it’s first-ever holiday campaign, with three ways fans can get geared up for Country Music’s Party of the Year®, including a Giving Tuesday charitable sweepstakes, a gift-with-purchase offer that any country music fan would love to receive, and an opportunity to support ACM Lifting Lives® when shopping on Amazon.com. 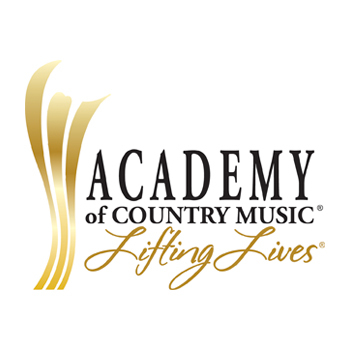 Encino, CA (September 27, 2018) – The Academy of Country Music® is announcing its newly elected officers for the 2018-2019 term and a total $800,000 contribution to ACM Lifting Lives® in 2018. Academy of Country Music contributions serve ACM Lifting Lives® ongoing mission to improve lives through the power of music and to fund the Diane Holcomb Emergency Relief Fund. Past philanthropic works have ranged from disaster relief and helping communities in need, to music education in schools and music camps for those with disabilities, to supporting programs that use music therapy as a means to help our veterans and wounded warriors, while providing grants to help them ease back into life – and much, much more. Newly elected officers of the board become effective in November. Encino, CA (September 10, 2018) – The Academy of Country Music® announced today that the 54TH ACADEMY OF COUNTRY MUSIC AWARDS™, Country Music’s Party of the Year®, will broadcast LIVE from MGM Grand Garden Arena in Las Vegas on Sunday, April 7, 2019 at 8:00 PM ET/delayed PT on CBS. The 54TH ACM Awards, honoring and showcasing the biggest names and emerging talent in country music, will feature exciting performances, unprecedented collaborations, surprising moments and more to be announced in the coming months. ENCINO, CA (September 5, 2018) – ACM Lifting Lives® today announced a call for submissions for the 2018 Grant Cycle, beginning today, September 5, 2018. Through grant cycles, ACM Lifting Lives provides funding to programs that promote education and healing with a musical connection, to further the mission of improving lives through the power of music. ENCINO, CA (August 15, 2018) – The ACM Lifting Lives® Board of Directors and its Search Committee has announced the posting of its open Executive Director position and issued a call for applicants. The abbreviated listing can be viewed below and the full listing can be viewed here. Applicants are encouraged to submit materials to submissions@liftinglives-edsearch.com and direct inquiries to questions@liftinglives-edsearch.com. The deadline for applications is Oct. 1. The 9th Annual ACM Lifting Lives® Music Camp is in session this week in Nashville, Tenn. with campers from around the country participating in a week of activities and excursions around Music City. The residential camp has the dual purpose of studying Williams syndrome while providing music enrichment through performance and education.